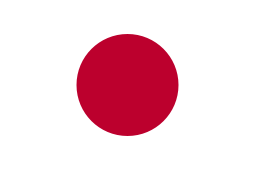 In the judicial system of Japan, the Constitution of Japan guarantees that "all judges shall be independent in the exercise of their conscience and shall be bound only by this constitution and the Laws" (Article 76). They cannot be removed from the bench "unless judicially declared mentally or physically incompetent to perform official duties," and they cannot be disciplined by executive agencies (Article 78). Supreme Court judges, however, may be removed by a majority of voters in a referendum that occurs at the first general election following the judge's appointment and every ten years thereafter. The judiciary was far more constrained under the Meiji Constitution than it is under the present Constitution and had no authority over administrative or constitutional law cases. Moreover, the Ministry of Justice had complete and direct control over the courts' administrative affairs. Nonetheless, Professor John Haley argues that the courts maintained complete independence in the adjudication of particular cases. "Judicial independence from the political branches was emphatically established as a fundamental principle of governance in Article 57 of the Meiji Constitution. Of all branches of government only the courts exercised authority "in the name of the Emperor." Haley argues that this was and remains a matter of great pride for Japanese judges and notes that "placed prominently in all courtrooms was the inscription "in the name of the Emperor" as a meaningful reminder to imperial officials and subjects alike that the Emperor's judges were not subject to political control or direction." Japan's court system is divided into four basic tiers. At the first of the four tiers of courts are the 438 summary courts (簡易裁判所 kani saibansho), staffed by 806 summary court judges. Summary court judges are not career judges. Qualification as a regular judge is not required. Instead, summary court judges are formally nominated for pro forma cabinet appointment by a special selection committee formally comprising all Supreme Court justices, the President (長官 chōkan) of the Tokyo High Court, the deputy procurator general, representatives of the bar, and others "with special knowledge and experience. They mostly handle small claims civil cases (disputes not in excess of ¥1,400,000), as well as minor criminal offenses. They are only able to imprison defendants in a few special cases. Summary Courts are presided over by one judge. Civil cases in the Summary Court are appealed to the District Court, while criminal cases are appealed to the High Court. At the second tier are the district courts (地方裁判所 chihō saibansho), the principal courts of first instance. There are 50 district courts with additional 203 branches. Except for minor cases, which account for 80 to 90 percent of all adjudicated cases, trials require a three-judge panel. These are the courts of general jurisdiction and the principal court of first instance. 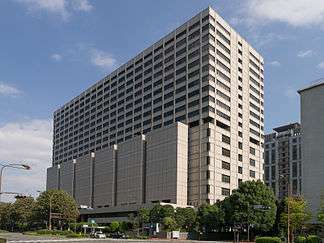 District Courts have original jurisdiction in felony cases and in civil cases where the disputed amount is over ¥1,400,000. They also handle bankruptcy hearings. Each District Court trial is presided over by at least one judge: two associate judges are also called in for appellate cases from Summary or Family Courts, or for criminal cases where the maximum penalty would be in excess of 1 year in prison. Attorneys sit on either side of the courtroom, facing the center. In a criminal case, the accused faces the judges from the rear of the courtroom. The witness box is in the center, also facing the judges. There are eight High Courts (高等裁判所 Kōtō-saiban-sho). They (Sapporo, Sendai, Tokyo, Nagoya, Osaka, Hiroshima, Takamatsu, and Fukuoka) serve defined circuits of several prefectures each; there are also "branch offices" in Akita, Kanazawa, Okayama, Matsue, Miyazaki, and Naha. There also exists the Intellectual Property High Court (知的財産高等裁判所 Chiteki-zaisan-kōtō-saiban-sho) in Tokyo, which is a special branch of Tokyo High Court. A High Court usually sits in the same manner as a three-judge District Court. Each court is led by a President, who is appointed by the Cabinet. An appeal to a High Court is called kōso (控訴). The high courts are appellate courts for either kōso appeals from district court judgments, criminal judgments from summary courts, or, in civil cases tried initially in summary courts, second (jōkoku) appeals limited to issues of law. At the apex of the judicial hierarchy is the Supreme Court (Saikō saibansho 最高裁判所), located adjacent to the National Diet Building. The "Grand Bench" (大法廷 Daihōtei) of the Supreme Court has associate justices, who are appointed by the Cabinet with the Emperor's attestation. The Chief Justice is nominated by the Cabinet and appointed to office by the Emperor. The Grand Bench is subdivided into three "Petty Benches" (小法廷 Shōhōtei) of five justices each, who hear incoming appeals and recommend them for an audience before the Grand Bench. An appeal to the Supreme Court is called jōkoku (上告), and requires either an error in the interpretation of the Constitution, or an error in the interpretation of case law from the Supreme Court or High Court. 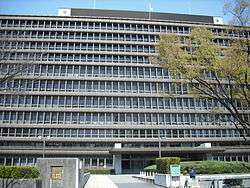 In addition to these strata, there is also a Family Court (家庭裁判所 Katei-saiban-sho) tied to each District Court, as well as in over 200 branch offices throughout the country. Family Courts primarily deal with juvenile delinquency cases and divorce, although they have a broad jurisdiction that encompasses all forms of domestic disputes, including correcting koseki registration data and partitioning estates. If a settlement cannot be reached between the parties, the case is transferred to the District Court. Although juries have not been used in Japan since 1943, a new quasi-jury system was passed into law in May 2004 and was implemented in 2009. ↑ Haley, J.O. The Japanese Judiciary: Maintaining Integrity, Autonomy, and the Public Trust, page 99 in Law in Japan: A Turning Point, University of Washington, 2007. ↑ Id at p. 115. ↑ id. See also Haley, J.O., The Spirit of Japanese Law, pp.97-106, University of Georgia Press, 1998. ↑ Haley, J.O. : The Japanese Judiciary: Maintaining Integrity, Autonomy, and the Public Trust, page 99 at 100-01 in Law in Japan: A Turning Point, University of Washington, 2007.